This is the same how you can do. So let’s dive in right now to know what are the steps to start an online business. First thing comes in the mind when starting own business is MONEY. I am damn sure, you are with me on this. Hey, that’s fine and why should not we search for starting a business with no money. Money should not be the first step to start an online business, but an idea is. Jumping into entrepreneurship without knowing own capabilities is something like riding a boat without knowing the route. Think of backup you need to have in case you are failed into entrepreneurship. Think of your skills, capabilities, and interest. Someone is good at writing. Someone is good at speaking. Someone is good at programming. Someone is good at drawing. Someone is good at finance. Someone is good at job skills. Someone is good at helping others. Someone is good at fine art. Someone has an in-depth knowledge of agriculture. Someone is even well at fitness, gym, and yoga. Wait, the list is endless. Why I’m talking about this? Because your skills are the side business opportunity for you. Here are the few names who have turn skills\passion\hobby into a business opportunity. 2. Karan Batra – a well know Charted Accountant(CA) turn blogger from India. He turns CA knowledge into an online business opportunity and started one of the best finance blogs in India Charteredclub.com. This is how you can too build a business around your skills and replace a day job very easily. …only if you take corrective action. First identify what good you are at, what skills you have that you can use to solve the problem and build a business around it. Take a pen & paper. List down all your skills\hobbies and area of interest which you are good at OR passion you have on a plain paper. It should be anything like writing, speaking, drawing etc. Sort them out from expertise to less expertise\know how. Because no one is an expert at everything. Pick up the FIRST that comes in your list. This is how you can grab a list of business ideas. A resume is the best place to identify your skills. Believe me or not you can fetch a bunch of business ideas from your resume. Use this technique if you are not sure about all of your skills. Take a hard print out of your resume. Mark the key skills\work which you have performed. Write down these skills into plain paper or excel sheet. Now jump and repeat 3rd step from above Method 1. Boom, you have a more list of business ideas. Now I’m damn sure, you are thinking that how it’s possible to start a business from these ideas. Hold on, here is the next step to start an online business. Don’t just pick up these ideas, do you remember what I have mentioned in the first step to start an online business? You need to find the problem around the skills which you are comfortable at. Let’s assume you are a master at ‘drawing’. Here is how to validate the business idea, find a problem statement and validate the demand. Quora.com is a very popular platform to identify the problem your audience is facing. 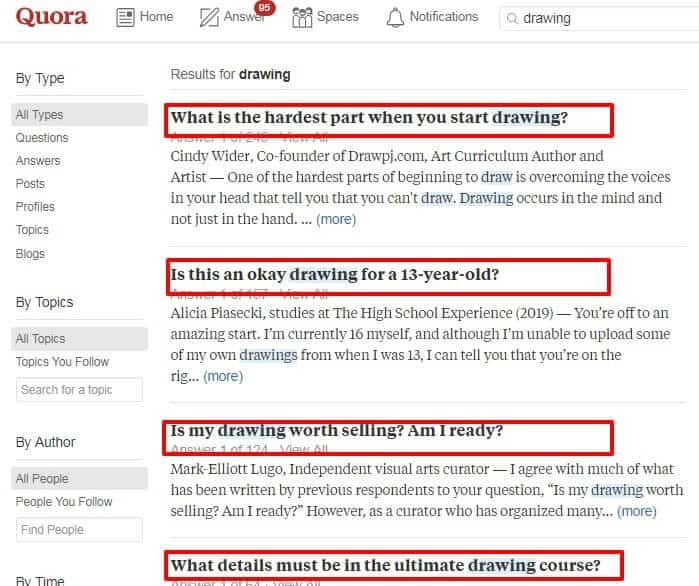 e.g Go to Quora.com and enter a keyword ‘drawing’. It displays the list of all questions, pain points, problem areas for which your audience is looking solution. If you find huge numbers of question around your business idea that means there is a huge demand for it. This is how you can validate the business idea and demand. Another great example to validate the business idea and demand is Forums. You can search for the problems people around the globe looking for. 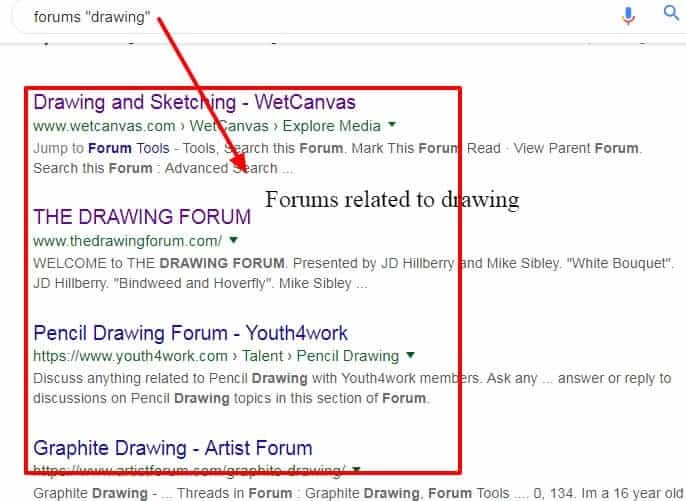 Google will display the list of all forums. Now on Forum website, search about your business idea or niche in the search box. e.g drawing. This is how you will get a huge list of the problems around your business idea for which peoples are looking solution. 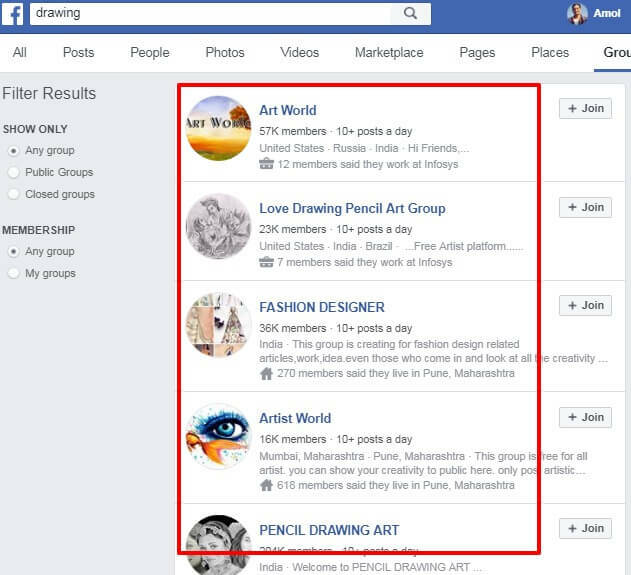 Facebook groups, LinkedIn Groups are another way to validate a business idea and find relevant questions\problem your audience is asking. You can even use this to create awareness about your business before launching. You can use the tools to find demand and problems around your business ideas. Here are a few examples of tools. This is one of popular tool to find all the Questions on any topic audience around the globe is asking on the Internet. You simply have to enter the search term and hit enter. It displays all the variation of the search terms in the form of What, Who, Where, Which, Can, When, Are like this. Another great thing about AnswerThePublic is its Language + Location based results and High-res images feature. 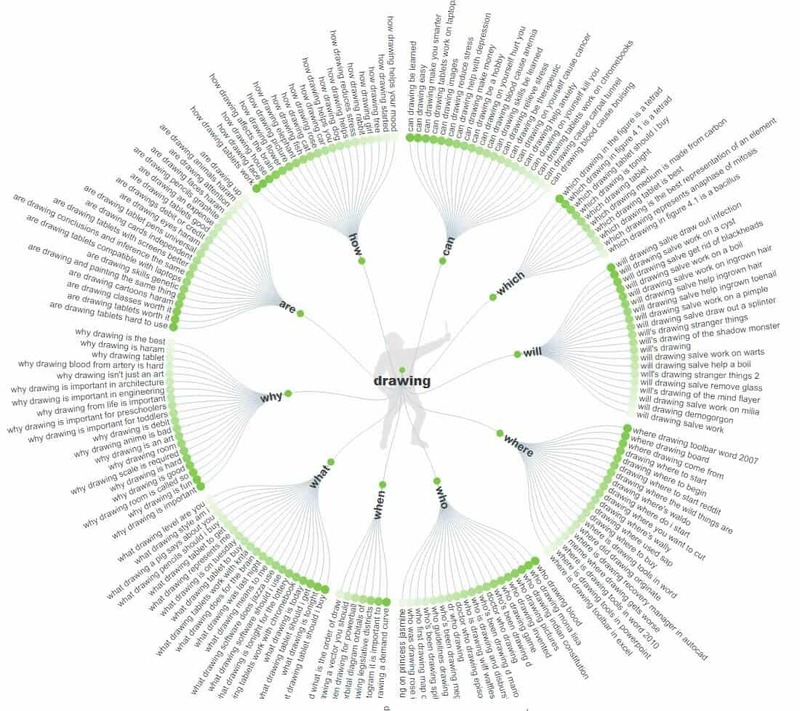 It helps marketers, organization identifying demand, validate idea by analyzing their audience search intent! You can utilize all this data to drill down the niche of the business you want to start. It’s a really that great tool to find what exactly people around the glob is searching on the Internet. i.e problem. You can search trends across the county, time frame, niche category, search category etc. The best part of Google trends is to monitor and forecast the demand throughout the year. Now you are done with 80% of work. Next step to start an online business is to provide a solution i.e. Build the business around your identified business idea. And a great way to provide a solution is through own Website, Blog, Social Media, and YouTube Channel. Nowadays it’s very easy to build a Website\Blog from scratch even if you are non-technical. So grab good Web Hosting, domain name and build a business Website, Blog, YouTube channel to flaunt your solution. Automate and manage your business with help of tools like PromoRepublic, Crowdfire, SocialBee, Plutio, ActiveCampaign. Keep working consistently on your business till you find it’s generating revenue equal and above of your existing salary. Quit your job and enjoy real freedom. Golden Advise: Never depend only on a single source of income even if you have a business OR job. Build multiple sources to mitigate risk. So that’s it for the day. These days starting a business is very easy, but only if you take corrective actions and provide value to your audience. It’s all about mindset, burning desire, and learning. Plant your seeds today and enjoy the fruits of FREEDOM lifetime. Don’t think too much. Take an action, follow steps to start an online business and escape the 9 to 5 Job. What are some other strategies you think should be mentioned here? Do you have a business idea but don’t know what to do next? Have you tried to build a business? Also, feel free to share your suggestions, what do you love to hear next from me on my Facebook group Join my private Facebook group — it’s totally free. And don’t forget to check out bonus below. Let me help you. I have made a list of 10 best online business ideas to start. Get Your FREE copy of “10 Business Ideas to Start Side Hustle & Make More Money” by clicking the below button to download a free copy. Along with this freebie, you’ll receive a my FREE email course on “Beginners Guide to Online Business“ to jump start your week + access to my insider newsletter content that help you to build business and quit your day job. Thanks Arthur.Yes Quora is all in one platform now a days for everyone. Thanks Vinod for your kind words.I am damn sure it will be helpful for everyone who is looking for opportunities online. I like the article ‘3 steps …’, the plan and specially the image ‘AnswerThePublic’, which provide you almost all the basic answers, which may come to your mind while thinking or working on an business idea. Thanks Abhijit. Yes ‘AnswerThePublic’ is great tool for everyone to check what questions people around the globe is looking for.